This is a DEMO version with missing characters FOR PERSONAL USE ONLY. Thanks for using my fonts. Copyright (c) 2016 by Rémi Godefroid. All rights reserved. Visit www.remigodefroid.wixsite.com/fonts/license to obtain a commercial license. 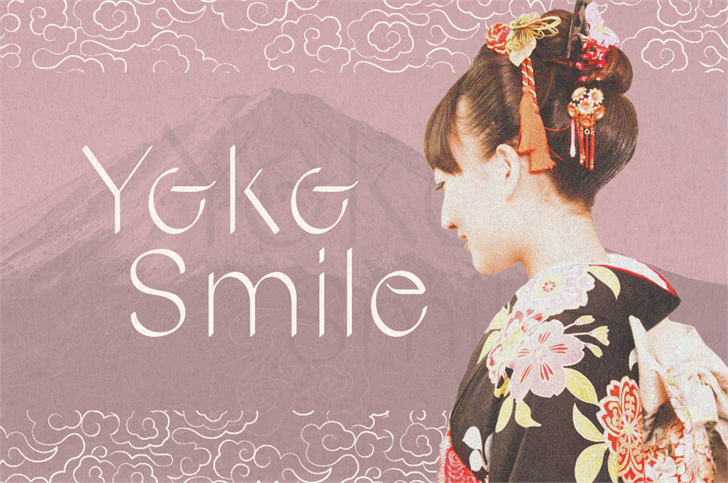 Yoko Smile is a trademark of Rémi Godefroid.